Most people are now aware of the dangers of asbestos, but there are still many older buildings in Irvine needing asbestos abatement. Identifying asbestos in an Irvine building and developing a plan for abatement is a job which must be done by a trained and certified hazardous materials contractor. Most general contractors do not have this certification, but Tri Span Inc. is a company fully licensed and qualified for the work of asbestos abatement and other hazardous materials mitigation in the city of Irvine. 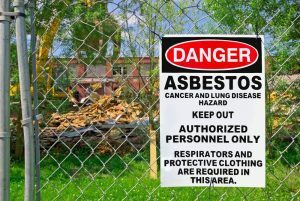 The biggest danger from asbestos is when the property owner is considering remodeling or demolition in a building constructed before the banning of asbestos in the 1980s. If the building is used for child-care, or if children live in the building, the need for careful management of asbestos is especially critical. First, the site must be surveyed by a trained specialist to determine if asbestos is present. If this hazardous material is present, the next step is determining what type of asbestos it is. Not all asbestos is the same, and some types are more hazardous than other types. When asbestos abatement is called for in an Irvine building, strict Federal regulations must be followed during removal and disposal of the material, and only State certified workers are allowed to perform this type of work. Third-party certification is also required to ensure that the work is done according to all government specifications. Examining and testing the property for the presence of asbestos. Consulting with the property owner and informing them of all the options for safe asbestos abatement. Time-sensitive removal of asbestos materials and disposal at an approved facility. Proper reporting and coordination with required third-party inspection services. If you own Irvine property and are in need of asbestos abatement, contact Tri Span Inc. for a consultation and find out all of your options.